Welcome to Champion Oilfield Service! We are Eastern Colorado’s premier Oilfield Service Company. We are pleased to announce that we have just completed a brand new 11,350 square foot office building and custom fabrication facility. We have the capacity to fabricate, build and service anything our customer’s request. With over ten years in business, Champion Oilfield Service has the ability to exceed your expectations. In 2014, we worked 153,346 man hours servicing the oil and gas industry in Eastern Colorado! We operate with a zero defects culture to ensure that our customers get the best possible service with the maximum up time. With our vast experience and large workforce, our oil and gas experts can quickly and safely respond to your needs and exceed your expectations. We understand that time is money and we are dedicated to complete customer satisfaction! At Champion Oilfield Service, safety is a primary concern. Every employee goes through a rigorous safety orientation. All equipment operators are certified on any equipment that they operate in the course of their duties. In addition to our own stringent safety policies, all of our employees respect and follow our client’s safety requirements. 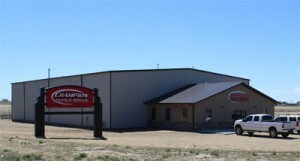 We provide a wide variety of oil and gas services to our eastern colorado customer base. If you have the need for a service you don’t see listed here please call us at (970) 483-7252 we will explore ways to meet your needs and exceed your expectations!